The tide was going out as they sat on the tablecloth that served as a blanket; they smuggled it out of the family’s beach house as they escaped the rage of their father an hour earlier. Alex produced a crumbled pack of cigarettes from the front pocket of his white T-shirt. He cupped his hands to light the match and then the cigarette. He pulled a second one from the pack and lit it from the already glowing stick and handed it to his sister. Gladdy touched her brother’s hand before taking the offering. They sat motionless as the turtle, not more than 50 feet away, pulled itself through the sand. The loggerhead moved slowly but steadily, using first the front right and then the left rear flippers to pull forward. Then it repeated the action with the other diagonal flippers. 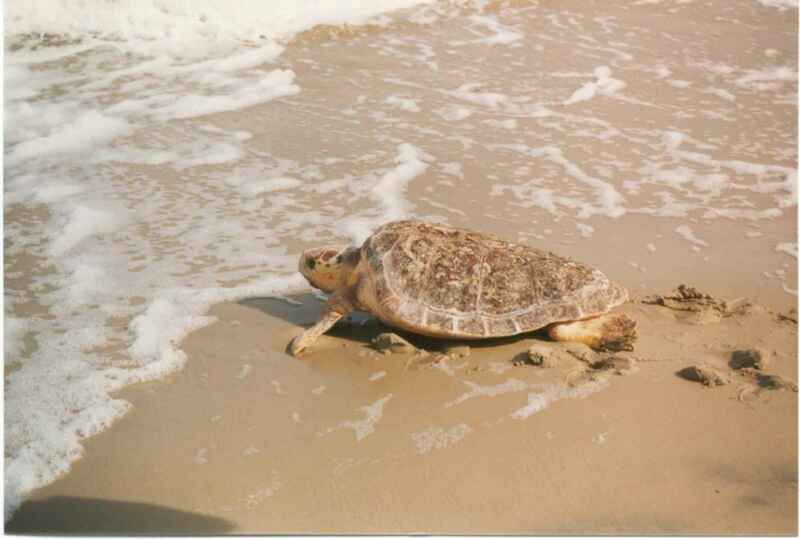 Its march from the sea was distinct from the other species of turtles that came ashore in Florida to lay eggs. The green turtle, Kemp’s ridley, the leatherback and the hawksbill also laid their eggs on the beaches of the peninsula, but loggerheads were by far the most numerous. Alex read any book he could find about the ocean. His newest favorite was written by Archie Carr about the sea turtles in the Caribbean. Alex checked the book out of the library in Calico, where the Stokleys lived, before they came to St. George Island for the summer. He’d received special permission to keep it for three months. Now he’d have to pay for that book because when his father came to the dinner table that night and saw Alex sitting with his elbows on the table and The Windward Road propped up on his glass of milk, Arthur Stokley snatched the book and walked out through the kitchen to the back porch and threw it in the trash. This entry was posted in Ramblings of a Writer and tagged Archie Carr, loggerhead, nesting sea turtle, sea turtle eggs, sea turtles, St. George Island. Bookmark the permalink. Thanks – it’s consuming me right now. Great place to be! I’m envious. Some days I’m faking it til I make it, but I usually get back to the story.